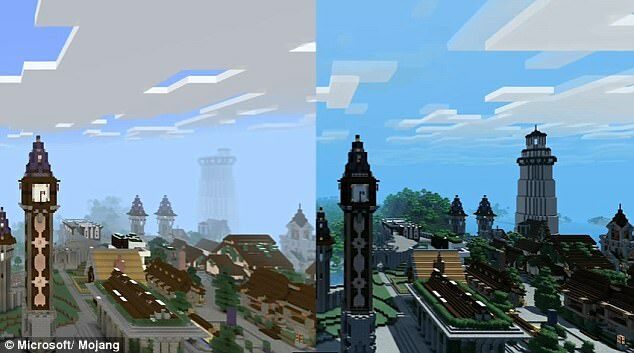 Minecraft, although very popular, has been said to fall short when it comes to graphics – until now. The video game is set to release the ‘Better Together Update’ that enables users to play with others in the game and lets the game's designers give it ‘a new lick of paint’. Users will soon experience 4K HDR graphics and be given access to the ‘Super Duper Graphics Pack', which adds stunning effects to scenes such as sparkles on rippling water and dynamic shadows. 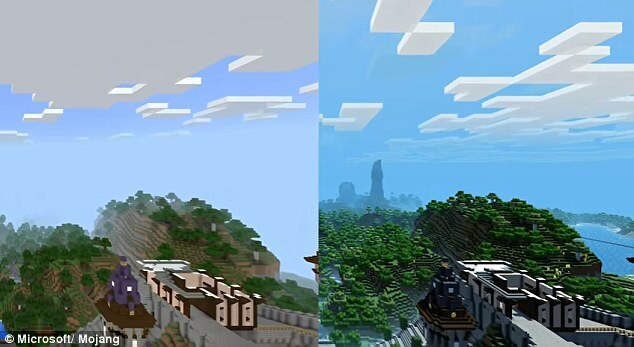 Java Edition players have long had the ability to add a modern look to Minecraft by fiddling around with codes, but now the average gamer will soon have the same experience with the new 4K HDR graphics, improved lighting, shadows, water effects and more. 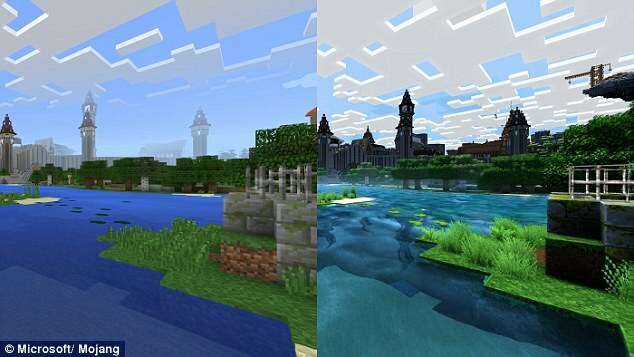 ‘We’re also a little something extra, which we’re humbly naming the Super Duper Graphics Pack,' Marsh Davies is the creative communications manager at Monjan AB, the creator of Minecraft, shared in a blog post. The pack will be released on Xbox One and Windows 10, performing best on high-end PCs and Project Scorpio. However, the Better Together update will not apply to the PlayStation 4, or PS4 Pro, version of Minecraft right away. Minecraft did release a a marketplace this month, which showcases curated content for Pocket and Windows 10 players. The digital storefront will let users purchase items like maps, textures and skins that range from $1 to $10 per – but users will first have to by a new form of currency. Microsoft added Minecraft Coins to the platform that will live in a user's Microsoft Xbox Live virtual wallet and is accessible for marketplace purchases on any platform. The new additions are set to make their way into the video game come spring. Although the upgrade benefits players, it is also an opportunity for businesses to sell their own original content, which will be available to ‘tens of millions' of players, Bloomberg reported. 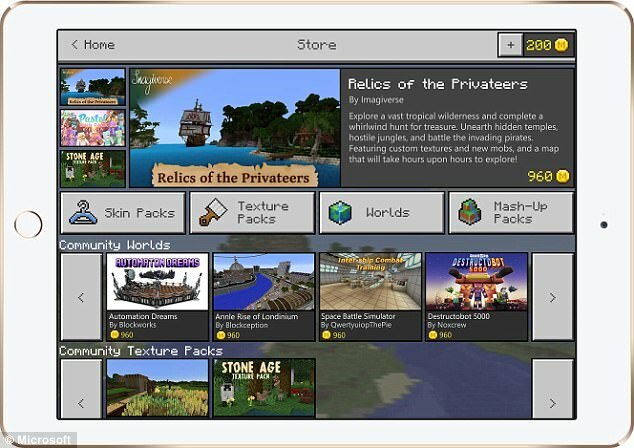 Nine businesses have teamed up with Minecraft to sell feature packs – and they will receive also about 70 percent of the total in-app purchase, where Minecraft will only keep 30 percent. ‘We've partnered with heroic ‘crafters well-known to the community to build up a launch catalog of amazing adventure maps, texture packs, minigames and more,' Minecraft wrote in an announcement. Minecraft already offers its players a store to make purchases, but the new marketplace will ‘open up an entirely new business model for independent creative'. 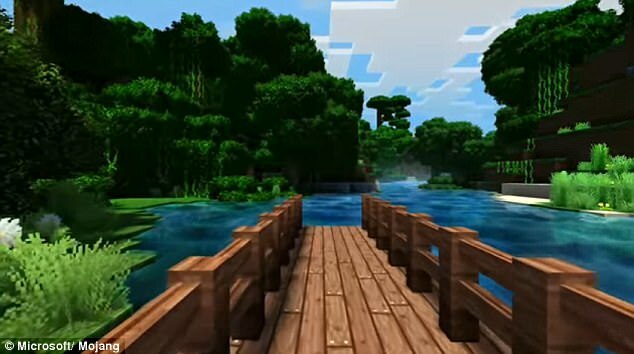 Altogether, Mincraft has sold a whopping 121 million copies to players all over the globe and boasts 55 million unique monthly users, according to figures from Microsoft – giving third party developers a chance at expanding their reach. 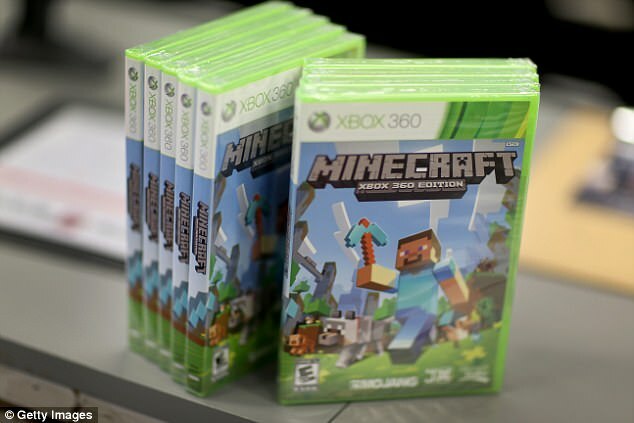 The new features will also help Minecraft stepped into the world of recurring revenue. 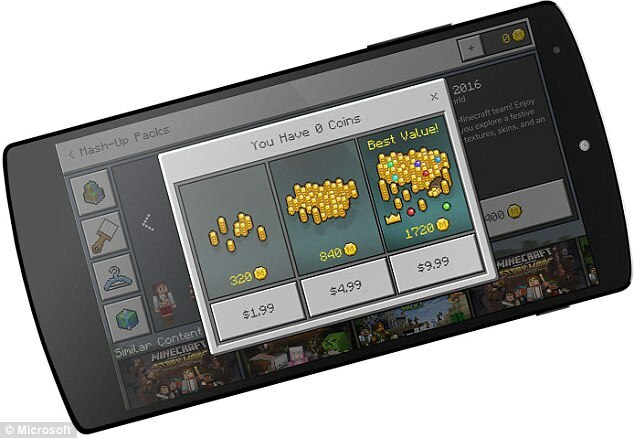 ‘With Minecraft Coins, Microsoft is following both Amazon and Facebook into having its own virtual currency for in-app and content purchasing,' Martin Garner, an analyst at CCS Insight, told Bloomberg. Minecraft noted that it will launch its public beta on Android in mid-April, which will focus on testing the new currency – users will ‘not see any creator content in the beta'. Subscribe for Updates and Bonuses!